How do I stop my account from renewing next year? Cancelling your subscription will mean that it will expire when your 12 month subscription ends. You can cancel your subscription by logging into your Teach Starter account and visiting your subscription page. On this page, simply click on Cancel Subscription. Your subscription will expire at the end of your current subscription period. For example: You signed up for the Ultimate Plan on January 1st, 2018. 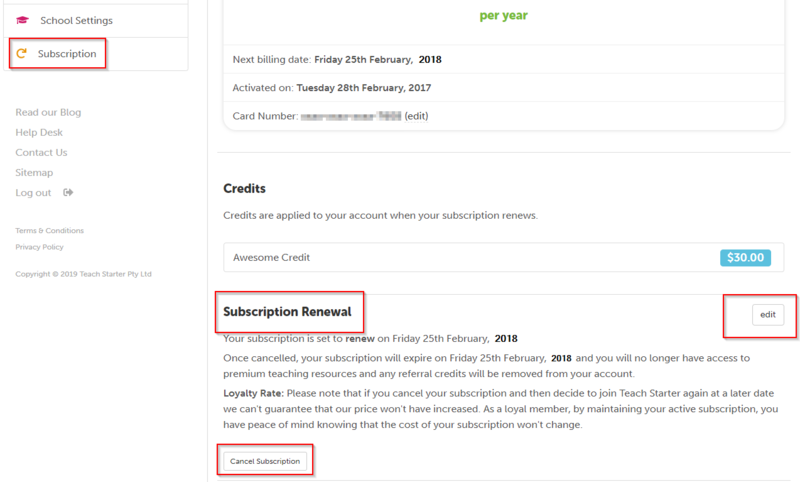 You cancel your subscription in March 2018. Your subscription will expire on January 1st, 2019.